Hariri, who will head the 30-member cabinet, said bold moves were needed without delay to address chronic problems facing the heavily indebted state. “We are facing economic, financial, social and administrative challenges,” Hariri said at a press conference in Beirut after the announcement. “It has been a difficult political period, especially after the elections, and we must turn the page and start working,” he said. Vicky Khoury, a member of the Sabaa Party, which emanated from the civil society movement, said the new government should first “kick-off the economic wheel”. It should “carry out economic and social reforms”, he told Al Jazeera. “People are concerned about the economic situation and about their basic needs such as free public healthcare, infrastructure and schools,” said Khoury, who himself has been protesting in front of the ministry of labour and health. The new government will include most of Lebanon’s rival factions, who have been negotiating over the makeup of the cabinet since the May 6 election that saw allies of the Iran-backed Hezbollah group gain ground. Since the election, Hariri’s last government, appointed in late 2016, has continued in a caretaker capacity. Al Jazeera’s Zeina Khodr reporting from Beirut said that forming a government isn’t an easy process when it comes to rival politicians agreeing on the distribution of seats in Lebanon’s sectarian-based power-sharing agreement. Many observers believe France – as a former colonial power which still has influence in the country – played a significant role in forming the government, Khodr noted. “Hezbollah and its allies control parliament, control political power in this country and that means by extension Iran and its ally, the Syrian government, who really have influence over Lebanon,” Khodr said. The first order of business for Prime Minister Saad Hariri’s third government is to agree on a policy statement outlining its priorities. The cabinet will hold its first meeting on Saturday to form a ministerial committee to discuss the matter, with representation from all the major groups. This is the first arena where divisions between the new ministers must be reconciled, and the committee will have one month to do so. Pro-Damascus parties, including Hezbollah and the Free Patriotic Movement, are looking to normalise Beirut’s ties with Syria, frozen since the outbreak of the Syrian crisis in 2011. 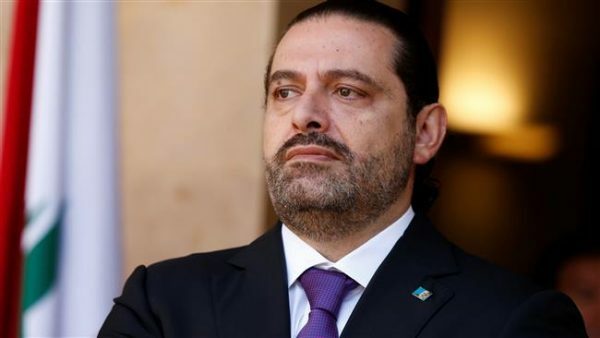 While Hariri and his allies in the Lebanese Forces party and the Progressive Socialist Party have called for a political settlement to the Syrian crisis before such a move is made. But pressure in both Lebanon and the region is mounting on the matter. Mohammad Fneish, the Hezbollah-affiliated youth and sports minister, told The National that it was still too early to foresee whether the issue would become a sticking point. He said there were many other local matters of “utmost importance”: the economic and financial situation, social issues and the environment. The delicate issue has previously been addressed by reaffirming the rights of Lebanese to resist Israel, while calling for Lebanon to stay out of regional conflicts – but some parties want more direct language that calls for the state to be the only legitimate bearer of arms. Samir Geagea, the Lebanese Forces leader opposed to Hezbollah’s arsenal, has already said in an interview on Thursday that there would be a “dispute” on the matter. Undoubtedly, this government will have to walk the fine line between the pro-Western and pro-Iranian lobbies, as it has before with varied degrees of success. Once the government clears the policy statement hurdle, the focus will be on the economy, stagnant since 2011. Added to sluggish growth, Lebanon has the third-highest debt to GDP ratio in the world, and about half of state expenditure this year is expected to go towards servicing debt. Despite all the problems it faces, the government does have a carrot dangling before it: more than $11 billion in soft loans and grants that were pledged for infrastructure projects at the Cedre donor conference in Paris last April. However, reforms must be undertaken before the majority of that money can be unlocked. “The Lebanese people and the international community have high expectations for the new government, whose success will be determined by its capacity to address the challenges the country faces, particularly by adopting the necessary institutional, economic and social reforms,” Federica Mogherini, the Euopean Union’s top diplomat, said in a statement on Thursday. All signs point towards the government moving in the direction of austerity – curbing of expenditure while trying to raise income. Mr Hariri has said the government will seek to cut $600 million in electricity subsidies from a sector crippled by annual losses of between $1.5-2 billion, of which subsidies are estimated to make up 80 per cent. Cabinet is also set to institute a hiring freeze in the oversized public sector, which is burdened by political appointments. At the same time, there has been speculation about possible increases in the value-added tax, to 15 per cent from 11 per cent, and the price of petrol. Thousands of Lebanese have taken to the streets in recent months to reject such austerity measures, calling for the new government to place the burden of reforms on the wealthy and those who have profited from Lebanon’s economic model since the 1975-90 civil war. After the mass protests against mismanagement of waste disposal in 2015, the new government may be staring down the barrel of a wide-ranging, matured street movement – especially if the economy continues to tank. With the suspense over cabinet formation now ended, the next question is: can the mosaic of diverging parties that make up the new government steer Lebanon through the rapids ahead? An American official said Friday that while the United States is happy about the government formation in Lebanon, it is also concerned over Hezbollah’s participation in the new cabinet, local newspaper Al Joumhouria reported. “The United States considers Hezbollah as a terrorist organization and it is worried the role it will play in the new cabinet especially that the party occupies important ministries such as the Health Ministry,” the official said on condition of anonymity. The official said that the new government will work under close supervision by the United States and Europe while focusing on the performance of the ministers who are appointed in sensitive ministries. The official added that the United States will make sure that the services offered by ministries will not cater to Hezbollah. Marshall Billingslea, Assistant Secretary for Terrorist Financing in the U.S. Department of the Treasury, announced a day earlier that the United States aims to cooperate with Lebanon to assure that Hezbollah is not funded through the Lebanese banking system. He added that the U.S. aims at imposing more sanctions on Hezbollah.